Raw milk benefits are so numerous that once you know what you're getting you'll only want to buy raw milk. To understand the benefits of drinking raw milk, let's first understand the meaning of the words “organic, raw milk.” Organic, raw milk or even just plain, raw milk is simply milk that comes from a cow. Or, depending on where you live, mares, goats, reindeer, yaks, etc. Raw milk is not pasteurized, which is milk that has been heated or homogenized, where the rich, butter fat is mixed throughout the milk. Usually, organic, raw milk gets the name “organic” from the fact that the dairy animals are fed untreated grass and not grains. It is from this excellent diet that you get all of the wonderful benefits of raw milk. My father often remarked that when he was a child, milk was considered “the perfect food.” As an adult, milk, especially whole milk, lost its once lofty title. He did not realize that he and all those who proclaimed the goodness of milk were now looking at a dead version of the once “perfect food.” Once raw milk is processed with pasteurization, it is successfully killed. All of the raw milk benefits are killed and the result is a poor excuse of what it was when it came out of the cow. Don't Drink the Pasteurization Lie! The pasteurization process of raw milk is a heating process which effectively destroys all bacteria and enzymes. Pasteurization of milk was introduced to kill harmful bacteria due to contamination because of unclean practices in production, handling and packaging. However, pasteurization does not ensure that people drinking such milk will not get sick. Any milk, pasteurized or not, can be contaminated and make people ill. In fact, America's worst case of salmonella between June 1984 and April1985 was traced back to the consumption of pasteurized milk. Pasteurization effectively renders a once-living, nutritious, perfect, liquid super food into a liquid devoid of nutrition. This fact has been both scientifically studied and published in prestigious medical journals. Raw milk benefits are so great that raw milk was referred to as “white blood” by the Canadian physician Sir William Osler who used raw milk as a medicinal aid for the treatment of serious diseases. Here is a partial list of some the properties that makes raw milk benefits so valuable to your health and wellness. Keep in mind that once milk is pasteurized, most if not all of these benefits are totally gone. Minerals - Raw milk also contains a wide array of available minerals from calcium and phosphorus to trace elements. Minerals require other minerals and vitamins to function properly and raw milk has all of the necessary minerals in their exact ratios. Proteins - Raw cow's milk has all of the eight essential amino acids needed by humans. Essential means that you must get them from the food you eat since the body cannot make them. Along with these essential amino acids, a few of the many beneficial proteins found in raw milk are worth further consideration. Antibodies are a class of complex milk proteins. These proteins provide resistance to viruses and bacteria and may help alleviate allergies such as asthma, hay fever and eczema. Lactoferrin - This particular protein helps you effectively assimilate the mineral iron. Lactoferrin also has anti-cancer properties and fights against the bacteria responsible for dental cavities. Raw milk benefits your teeth. Dentist Weston Price observed that dental malformations and cavities were rare among cultures who consumed raw milk products. Enzymes- Enzymes are specialized types of proteins that enhance important biological reactions. There are at least 60 beneficial enzymes present in raw milk. Each enzyme has a specific biological task to perform. Some of the enzymes like catalase, lysozyme and lactoperoxidase protect milk, making it safe for us to drink without the need of pasteurization. The functions of other enzymes such as amylase, lactase, lipase and phosphatase helps to digest starch, lactose fat and phosphate respectively, making raw milk an easy to digest food, even for lactose-intolerant people. The friendly lactose-digesting Lactobacilli bacteria contained in raw milk enhances the function of the enzyme lactase and further allows lactose-intolerant people to enjoy raw milk. The Lactobacilli bacteria also boosts the absorption of the vital minerals calcium, phosphorus and iron. 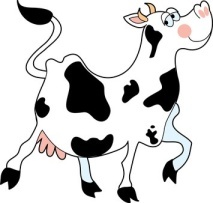 The main benefit of pasteurized milk is to supply calcium. However, when this friendly bacteria is killed, you body cannot effectively absorb the calcium in the milk. So to get calcium into your bones where you actually need it, drink milk— raw milk. Rich Butter Fat- An argument against raw milk is that it is high in fat and thus, will make you fat. This is a myth. Consider that while western nations seem to have a craze about low fat and fat-free foods, obesity rates are steadily increasing. The rich butterfat in organic, raw milk is necessary for many life functions. Perhaps the most important fat found raw milk is CLA (conjugated linoleic acid). CLA is a Omega-6 fatty acid. CLA is abundant in milk from grass fed cows and is heavily studied because of its promising health benefits. Among its many health benefits, CLA actually helps remove belly fat, improves metabolic rate, boosts the growth of muscles, reduces insulin resistance, strengthens the immune system and lowers food allergy reactions. For more information on the benefits of fats, see the easy-to-understand Fat Primer. To enjoy all your raw milk benefits in a tasty shake, use Make A Shake to design you own custom blend which is a perfect complement to real milk. Add the words "well web" (no quotes) in the coupon box to get 5% off of your entire creation. Organic raw milk, raw goat's milk or whatever real milk you can buy is a nutritious base for however you design YOUR perfect shake! Years ago, my paternal grandfather was quite the lawbreaker. Even when pasteurization was the thing and raw milk was regulated, if not against the law, he supplied many happy and smart (not to mention healthy) customers with what they wanted— raw milk fresh from the farm. Although raw milk may not be as easy to get as when my grandfather would deliver it to his customers, here are are some links for you to get started enjoying this liquid super food. Don't stop with all of the goodness of raw milk. Go raw with other foods too. Here is a great site to start: Rawfood.com.